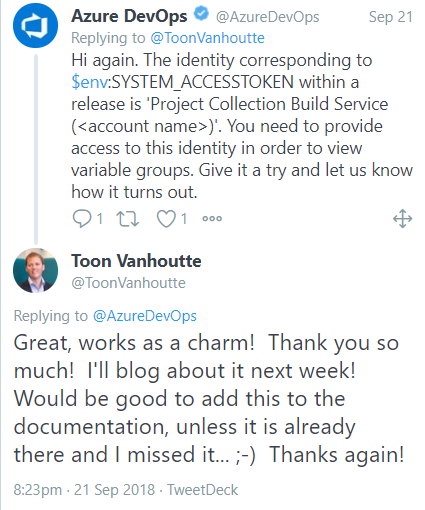 If you grant sufficient permissions to the Project Collection Build Service (<Account Name>), your REST API call will succeed. Azure API Management & Azure Event Grid are a great combination, but it needs some setup. I've contributed an API Management policy to get you started!